The Guide Tennie Women's is a lower-volume version of the classic Guide Tennie, with the same great performance in a women's size range. 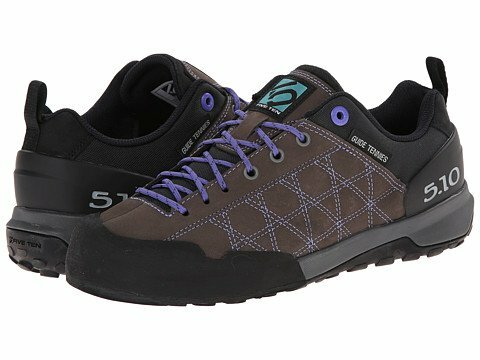 An ergonomic last design, mesh lining and compression-molded midsole make the Guide Tennie Women's comfortable when hiking long miles or engaging in technical scrambling and climbing. The durable nubuck leather upper provides water-resistance while remaining breathable on warm days.